Research is used to understand where specific issues fit into broader contexts. By calling upon a wide spectrum of information resources and colleagues from different disciplines our research is the foundation for defining the way a problem or issue is perceived in new and unexpected ways. As a think tank connected to a global network of designers, scientists, activists and academics, VisionArc challenges the boundaries of an individual practice. Through active dialogue with our global consortium of experts and colleagues, we can bring a broad range of discourse and knowledge to the table. The visualization of complex information is crucial to making systemic challenges legible to a broad audience. Through graphic, web-based and animated narratives, we use visualization as a shared global language for shared global issues. VisionArc works in collaboration with leading environmental, political and social organizations. We provide research and consulting services at the local and global scale. Together we engage a diversity of issues facing urban and rural environments alike. We see these collaborations as an important strategy for leveraging design as a creative decision making process with far reaching relevance to global leaders, businesses, and organizations. We believe that design is grounded in innovation, inclusion and an underlying responsibility for positive social and environmental change. By combining research, dialogue, visualization and collaboration, VisionArc’s focused team is positioned to collaborate with future partners: building unique perspectives and global benefits. 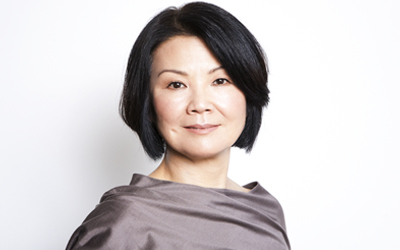 Toshiko Mori is the founder of VisionArc and principal of Toshiko Mori Architect in New York City. She is currently the Robert P. Hubbard Professor in the Practice of Architecture at Harvard University’s Graduate School of Design and was chair of the Department of Architecture from 2002-08. In 2005, she received the Academy Award in Architecture from the American Academy of Arts and Letters, and the Medal of Honor from the AIA New York Chapter. She is a member and former chair of the World Economic Forum’s Global Agenda Council on Design Innovation and a trustee for Architecture for Humanity. 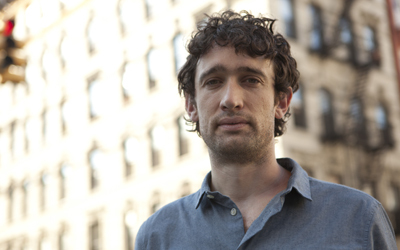 Since its founding in 2009 Landon Brown has served as the Director of VisionArc in New York City. His recent work includes collaboration with the World Economic Forum on the development of an energy monitoring and conservation tool used in the aftermath of the 2011 earthquake and tsunami in Japan. His further investigations into urban resources and micro-communities has led to the design of workshops for the BMW Guggenheim Lab in New York, Aalto University in Helsinki as well as lectures for an ongoing seminar series called The Global Redesign Project at The Harvard Graduate School of Design in Cambridge.